MVP Jordan Horston, right, and her teammates at the FIBA U17 World Cup had plenty to celebrate this summer. 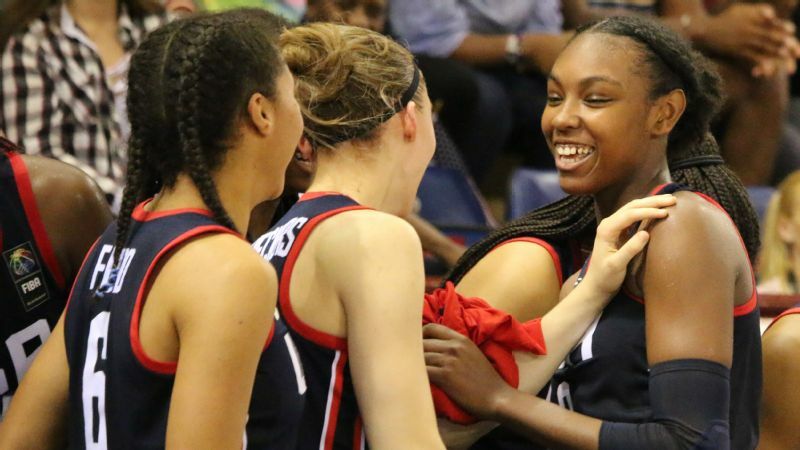 It was a golden summer for USA Basketball's U18 and U17 women's teams. For the players, the highlights weren't contained to the court. From Colorado's Rocky Mountains to Latvia's Baltic beaches, their memories dot the globe. 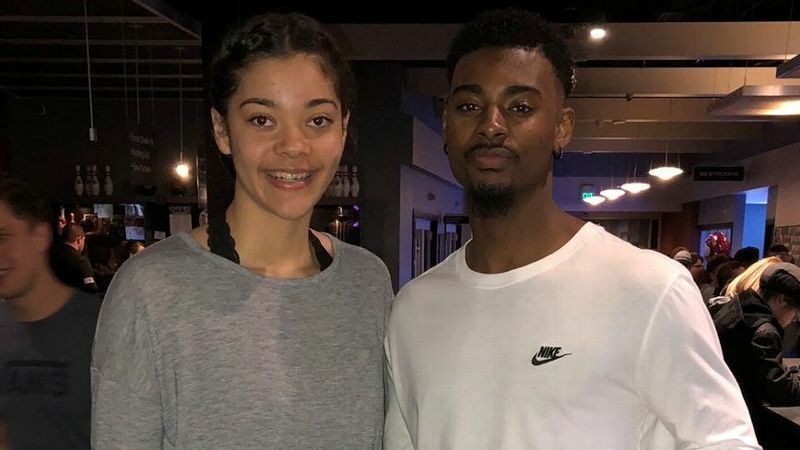 We caught up with several of the gold medalists from the FIBA Americas U18 Championship in Mexico and the FIBA U17 World Cup in Belarus. They shared their most memorable moments. 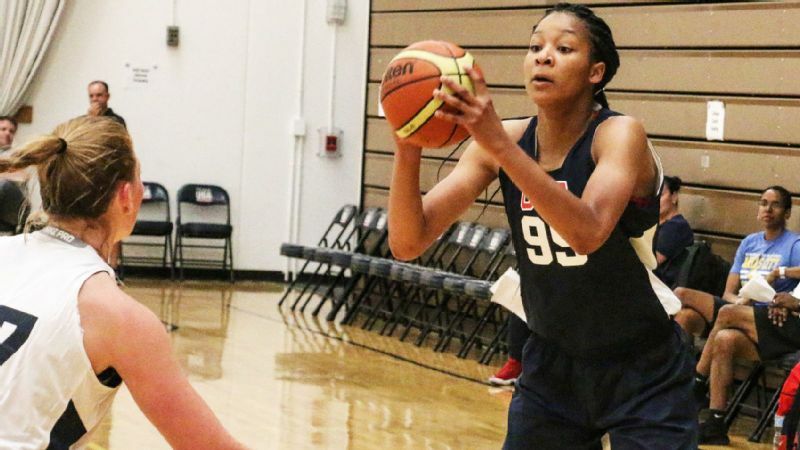 Haley Jones, a 6-foot-1 undeclared senior wing at Archbishop Mitty (San Jose, California), scored 14 points as the U17 team routed France 92-40 in the final, concluding Team USA's 7-0 run. After the win against France, the Americans rode the bus back to their team hotel. When they got close, Jones and her teammates noticed a crowd gathered outside in front of the hotel. "These girls are pointing at us and seem to be screaming," said Jones, who was named to the all-tournament team. "We're like, 'What's happening? Why are they pointing at us?' "
Once they got off the bus, the U.S. players recognized many of their opponents from the tournament, including athletes from China, Mali, Latvia and Japan. "U-S-A! U-S-A!" came the serenade. Jones and her teammates were stunned at the display of sportsmanship, but they quickly reacted. "We started chanting 'USA!' with them," Jones said. "And then we all started taking videos and pictures. And we were all jumping up and down, too." 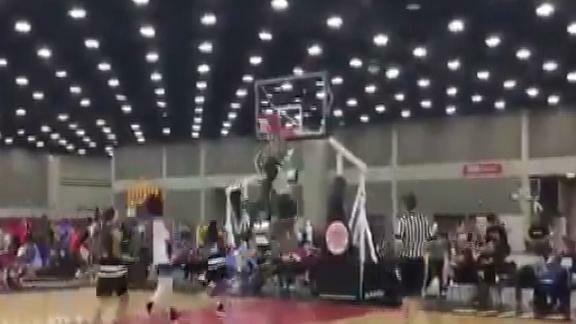 Jordan Horston, an undeclared 6-1 senior guard at Africentric (Columbus, Ohio), was named the MVP of the USA U17 team. She was "starstruck" when she met Elena Delle Donne of the WNBA's Washington Mystics when the team visited Washington, D.C., before flying to Belarus. The Americans took a 90-minute walking tour of some of the city's landmarks such as the White House and the Lincoln Memorial. "Our coaches wanted to make sure we understood what it meant to wear 'USA' across our chests," Horston said. "It was amazing to experience that tour with this group of girls, finding out about the people who fought for our country. "When we left the country [for Latvia and Belarus], that's when we realized that we really have it good as Americans." Anaya Peoples, left, and Rhyne Howard celebrate at the top of the Manitou Incline. 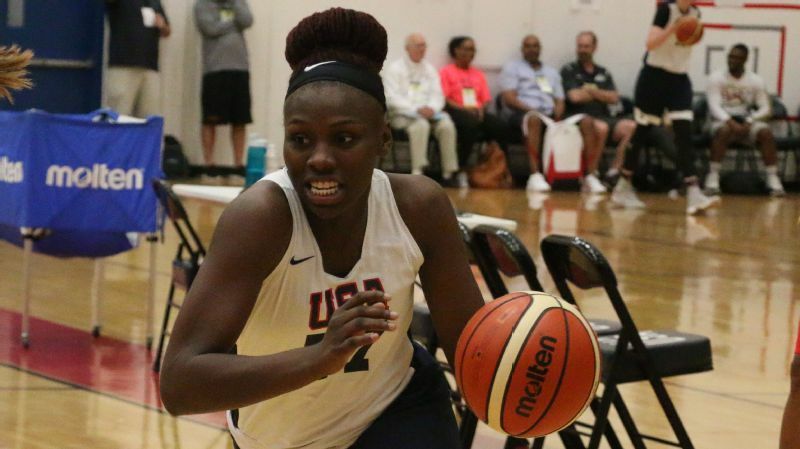 Anaya Peoples, a 5-10 senior point guard at Schlarman (Danville, Illinois) and a Notre Dame recruit, helped lead the U18 team to the gold medal. But before she and her teammates left for Mexico, they took part in practices at USA Basketball headquarters in Colorado. One night, coaches told the players to get to sleep early because they were facing a 5 a.m. wake-up call. The next morning, the team drove to the Manitou Incline in Colorado Springs, a popular hiking trail famed for its sweeping views and its steep grade. The Manitou Incline features an average grade of 45 percent. At some points, it is as steep as 68 percent, and it gains 2,000 feet in elevation from start to finish. "As part of our training, we had been scrimmaging against semipro men, and they were winning," Peoples said. "We were determined to win at something. We wanted to win the incline. "Our whole team -- including coaches -- had to make it to the top of the incline. They said anyone who failed would not fly to Mexico." We are happy to report that everyone on Team USA made it to the summit, with the coaches bringing up the rear about 90 minutes after their start time. 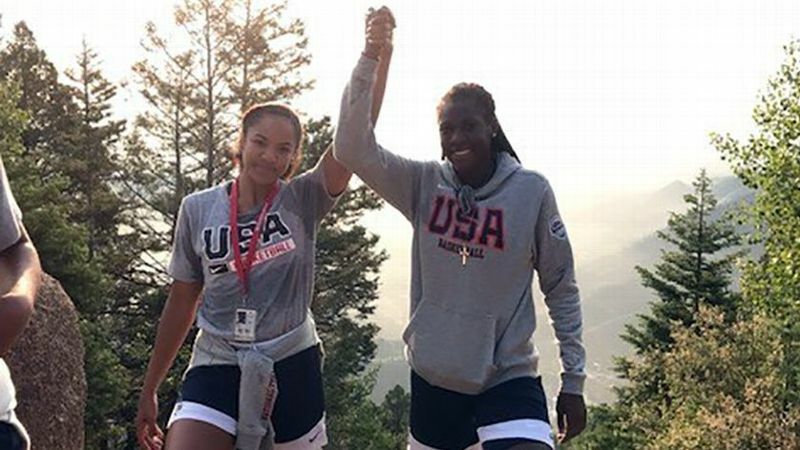 Peoples said it took her and teammates Rhyne Howard and Desiree Caldwell 60 minutes to make it to the top of what was a breathtaking trek -- literally and figuratively. The sights, with the sun just starting to rise, were majestic, but the climb up the incline was also physically taxing. "There were moments where we had to stop every six steps," Peoples said. "It was very challenging. "But, looking down and seeing how far we had come -- that was motivating." Maori Davenport, a 6-4 senior forward at Henderson (Troy, Alabama) who made the U18 all-tournament team, helped USA's U18 squad defeat Canada 84-60 in the final in Mexico. The most surprising part of the entire experience for Davenport was the adulation she received from strangers abroad. "It was amazing how many people came up to talk to me at the airport or after games or when we were at a team function," Davenport said. "They would ask for an autograph or a photo. They would ask me what position I play or something about basketball. It made me feel weird a little bit, but the people were nice." 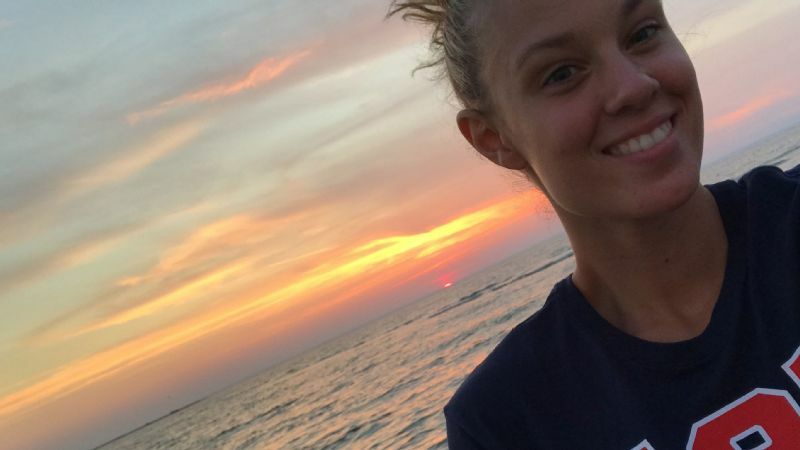 Nothing like a little selfie by the sea for Sam Brunelle. Sam Brunelle, a 6-2 senior forward at William Monroe (Stanardsville, Virginia) and a Notre Dame recruit, is the proud owner of an impressive medal collection -- bronze in 2016 at the FIBA U17 World Championship, gold in 2017 at the FIBA Americas U16, and gold in 2018 with the U17 squad that traveled to Belarus. But before landing in Minsk, Brunelle and her teammates spent five days training in Latvia. And, on their final day in Latvia, the coaches offered the players a trip to the Baltic Sea. "It was warm out, but the water was freezing," Brunelle said. "The sea was very clear, but I only stayed in the water for five or 10 minutes because it was so cold." Paige Bueckers, a 5-11 undeclared junior point guard at Hopkins (Minnetonka, Minnesota), flirted with a triple-double for the U17 team in its win in the final, carving up France with 10 assists, eight points and seven rebounds. After that game, Bueckers and her teammates retreated to their hotel rooms on the 13th floor, where many players from other countries dropped by hoping to exchange gear. "I loved my USA gear -- it was hard to give it away," Bueckers said. "But I ended up convincing myself to give away a pair of spandex, a sports bra, my old USA pants and a jacket. "Everybody was trying to trade with us. I traded for a pair of Australia shorts, a Latvia T-shirt and a France jacket. I got to meet a lot of players from other teams, and they made me feel famous because they all wanted photos. "I had the impression [before the trip] that no one liked the U.S., but they all loved us. They were all really nice."